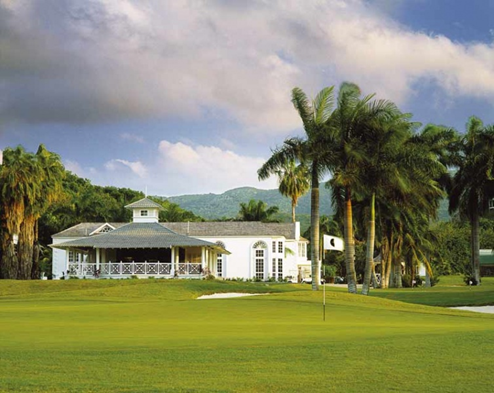 One of the most exciting and original golf destinations in the Caribbean, the Half Moon Golf Course was named Jamaica's Best Golf Resort 2014 at the IAGTO World Travel Awards and Jamaica's Best Golf Resort at the World Golf Awards. 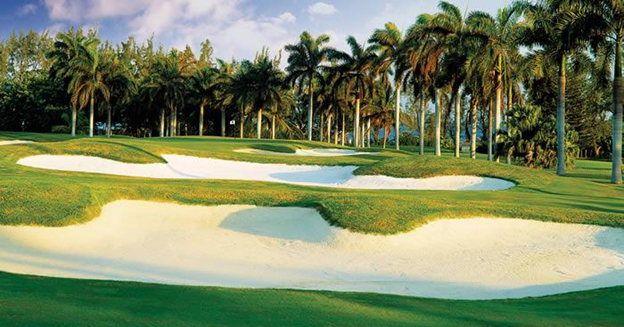 Built on the site and foundations of the 17th century Running Gut Estate and designed by Robert Trent Jones Sr. the Half Moon Golf Course was opened in 1964. The course was superbly modernized by Roger Rulewich in 2005 creating a masterpiece and one of the best walking courses in the Caribbean. 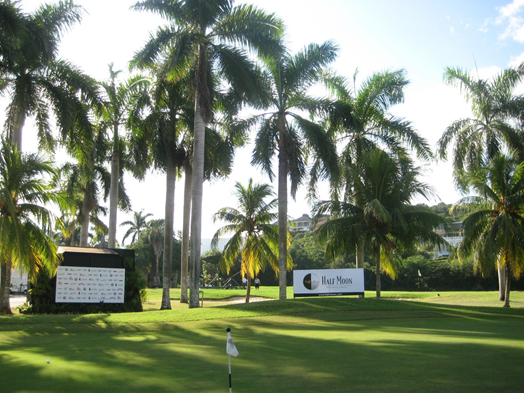 Over the years many PGA professional golf tournaments have been held at Half Moon including the European PGA Senior Tour and since 2007, the Jamaica Open. Just four minutes away from Half Moon are the White Witch and Cinnamon Hill golf courses, both designed by Robert Van Hagge and Rick Baril. The White Witch is notable for its spectacular elevated location covering 200 acres with 16 of the 18 holes offering panoramic views of the sea and at Cinnamon Hill, the highlight is the 17th hole, 350 feet above sea level with fabulous sea views. 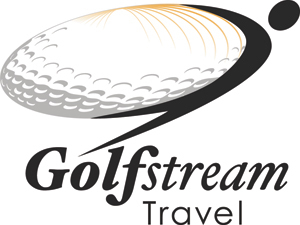 All three courses are included in the Half Moon Total Golf Experience package which offers 54 holes of world class golf and we urge guests to play at least one round at all three courses. Golf Shop open: from 7 a.m. – 6 p.m.
Caddy Master: open from 6:30 a.m. – 7 p.m.
19th Hole Bar: open daily from 7 a.m. – 7 p.m. offering light snacks, lunch and cold drinks. Original Course Designer: Robert Trent Jones, Sr.
Our Deluxe Rooms are comfortable with garden or courtyard views. King and twin beds are available. 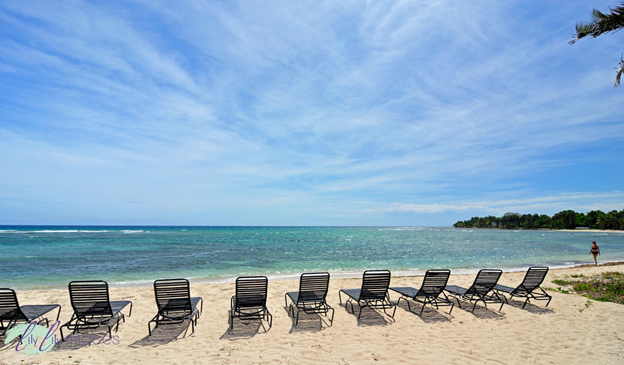 As the name suggests, Deluxe Oceanfront Rooms face the ocean with easy access to the beach. King or twin beds are available. Our two-story Deluxe Suites are ideal for families or couples who demand extra space. Deluxe Suites feature an airy spacious bedroom with bathroom (shower-only) on the second floor and bright, cool living area and bathroom on the ground floor. Off the living room is a kitchen, (a personal cook can be arranged) and outside a large patio with garden views. Spacious and comfortably elegant, each Junior Suite has a style of its own with a living area, twin or king beds, and a balcony or patio that has ocean and/or garden views. 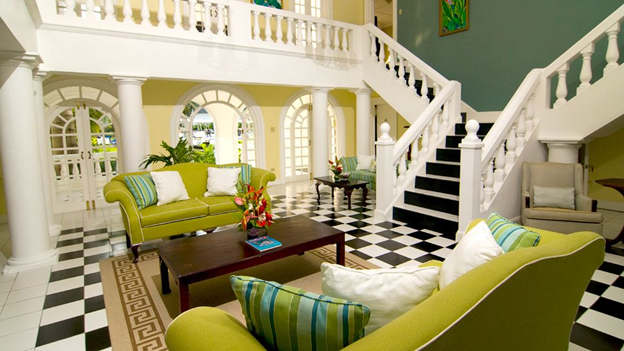 The Half Moon Royal Suites are famous for their individuality, no two are alike. Common to all is a spacious bedroom, separate living room and private terrace or balcony. 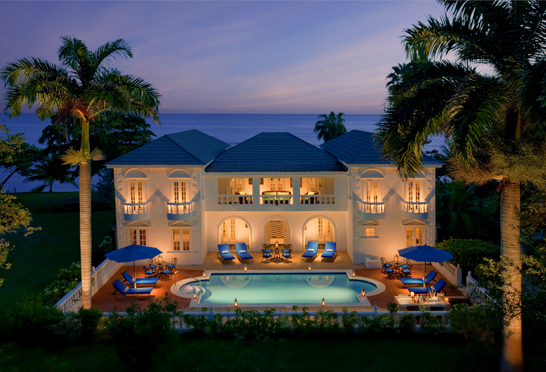 Most enjoy uninterrupted ocean views, others are secluded within the lush gardens and some enjoy a private pool. 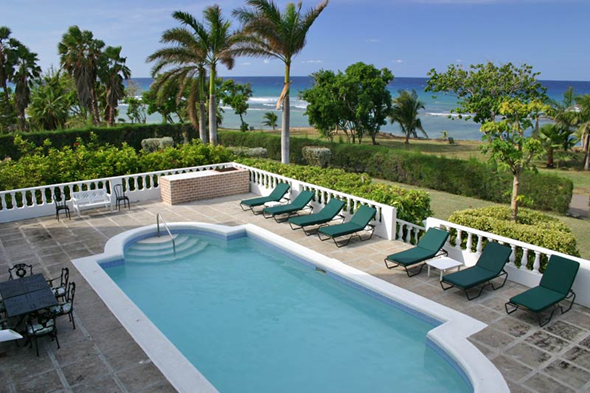 West Cottage Royal Suites, only steps away from the beach exude a classical Jamaican ambiance; those in the Royal Court embody the attributes of tropical living and the suites in the Oleander are on two levels. 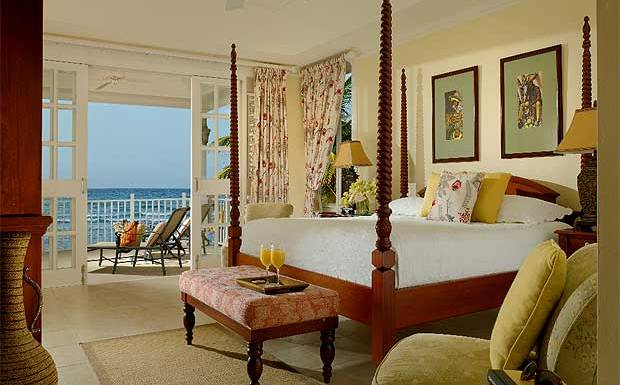 Our beachfront Hibiscus Suites offer magnificent ocean views, an airy plantation style ambiance and deep patios or balconies overlooking the sea. Spaciousness and striking furnishings are what make our Hibiscus Suites so popular. Each suite includes a large bedroom with king or double beds, living area and exceptionally spacious bathroom. Two bedroom Hibiscus Suites are also available. Our Imperial Suites are quite simply unique. Not only are they our largest accommodation but our most stylish. Those in the West Cottages - cottage 1, cottage 3, cottage 4, cottage 5 and cottage 8 are architecturally unique, evocative of the plantation style of the 1950's and furnished with aplomb. No two are alike and within each are personal touches, thought-inspiring paintings, books to read and in cottage 1, a grand piano. The 4 Imperial Suites in Cottage 12A to the east offer a contemporary feel with fabulous sea views and deep and wide balconies or patios. The contemporary ambiance continues in the Royal Court where the Imperial Suites range from lofty split-level to beach front and an ever-present sea breeze that gently cools. Book this room category and receive a 10% discount off all services at the award-winning Fern Tree Spa as well as the Robert Trent Jones Sr-designed Golf Course and Golf Pro Shop. Facing the perfect crescent of Sunset Beach, the ten whitewashed West Cottages are where Half Moon began in 1954. Uniquely individual both in terms of architecture, internal layout and style, the cottages encapsulate Jamaican lifestyle at its finest. For those guests who seek a sybaritic family retreat or cosseting cocoon in which to spend time together, we offer the exclusivity of booking an entire cottage. Standing at the far end of Sunset Beach, Cottage 1 has, in its time, been the abode of choice for numerous notable guests including HM Queen Elizabeth and the late Princess Margaret, both of who took full advantage of the capacious entertaining space. Sleeping 14 guests and entered through an archway into an exceptionally spacious courtyard with private swimming pool, Cottage 1 comprises an Imperial Suite, a Junior Suite and 5 Royal Suites, two of which are on the first floor with magnificent ocean views. Of note is the Imperial Suite drawing room which measures some 40 feet from end to end, perfect for afternoon tea together or pre-dinner drinks. It has the added attribute of a grand piano, rendering the cocktail hour an enticing proposition. The furnishings throughout the cottage are of exceptional quality with a gentle, restful palette admirably suited to the setting. Of particular note is the magnificent period four-poster bed in the Junior Suite and the charming circular sitting room of one of the Royal Suites. The bedrooms have king-size beds apart from one Royal Suite which is furnished with two twin four-poster beds. 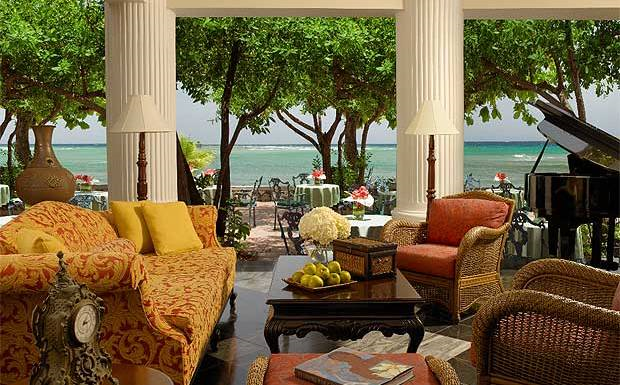 Four of the Royal Suites and the Imperial Suite enjoy views of the sea from either a terrace or a balcony. There is a joyful, carefree atmosphere about Cottage 4 that never fails to bring a smile to all those fortunate enough to stay there. Perhaps it is the sun-filled perfectly square private courtyard and swimming pool, the flower-filled gardens or the delightful interiors which display the owners personal touch. 12 guests have at their disposal 2 Imperial Suites, a Junior Suite, a 1-bedroom Royal Suite and a 2-bedroom Royal Suite. The handsome Imperial Suite on the ground floor faces the sea from a wide, wicker-chair furnished terrace, its sitting room the epitome of comfort with vibrant scatter cushions. Behind that lies a bedroom that boasts an imposing four-poster bed. Adjacent is the Junior Suite, spacious and airy with a pleasing mix of wood and cane. Upstairs, the Imperial Suite and Royal Suite connect through the sitting rooms to make one large room. The bedroom of the Imperial Suite features twin-beds with ornate scroll-carved headboards and the bedroom of the Royal Suite is a peaceful haven of blue and white. 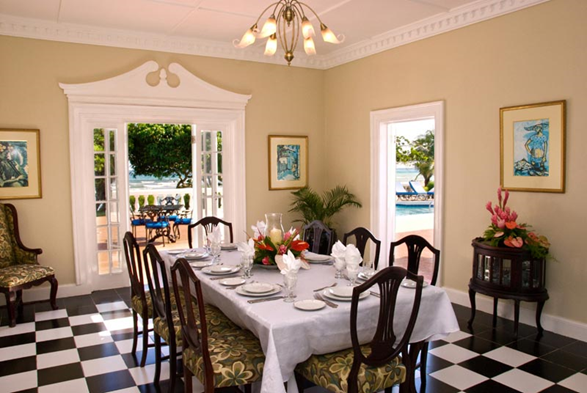 The 2-bedroom Royal Suite is to the rear of the cottage, facing the pool and sea beyond. It has a capacious sitting room with square bay window to the side and an equally large bedroom to the rear. The second bedroom is prettily furnished with painted twin-beds, perfect for youngsters. Shades of coral, fern green, lemon yellow and duck-egg blue prevail throughout Cottage 4, providing an ambiance that is cool, calm and restful. Enjoying all the facilities of the hotel, the Villas at Half Moon are a perfect choice for families, friends or groups who seek privacy and seclusion in the ambiance of a private home for an experience that is quite simply unforgettable. Found at the eastern end of the resort and just beyond Sunrise Beach, the villas are dotted amongst beautifully maintained gardens that give the entire area the feeling of a quiet country village. 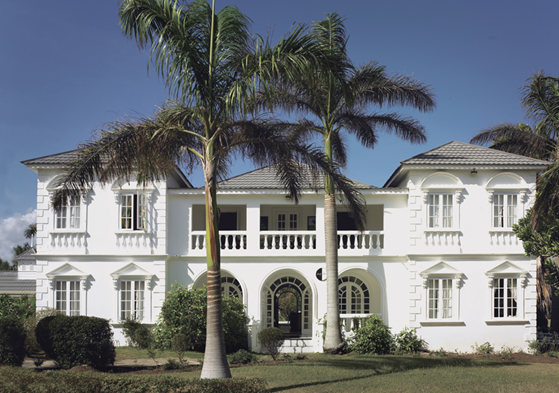 All rendered in white, the architectural style of each villa is slightly different. Ranging from four, five, six or seven en suite bedrooms, each Villa is staffed with a butler, cook and housekeeper. These exceptional staff members are there and on hand to ensure that you relax in an atmosphere that is truly home from home. Our renowned, unique Jamaica spa treatments provide the ultimate, personalized spa experience to help you achieve complete wellness. Guests are offered the following services all performed with the skilled hands of our gifted and certified therapists who will lift your spirits and alleviate stress. All Signature Treatments begin with the Spa Welcome Ritual - the celebration of nature. Hot water is infused with either lemongrass oil for its uplifting and energizing effect or lavender oil for its calming and relaxing properties. The steam is inhaled while gently misting the treatment room and then placed under the face cradle or in the room. All therapies end with a Spa Departure Ritual - to cleanse and renew. Whether you choose to ride a horse, tee-off on the golf course , create your own championship on the tennis courts, be indulged in the spa, work out in the fitness centre, cycle leisurely amidst our 400 acres or simply relax poolside or on the beach engrossed in a novel, at Half Moon we make it very easy to do everything or simply nothing at all. Half Moon's natural Dolphin Lagoon lets you meet, swim and even kiss the dolphins to create a memory that will last a lifetime. 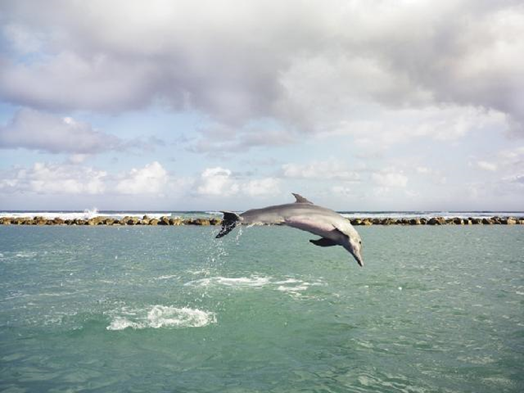 As unique as it is exclusive, Half Moon is the only resort in the Caribbean to offer swimming with dolphins on site. Opened in April 2003, the Half Moon Dolphin Lagoon is available to Half Moon guests only, and is one of the most popular activities available at the resort. To ensure availability, please make reservations prior to or upon arrival at Half Moon. Our large ocean lagoon allows guests to come face-to-face with these fascinating mammals. Trained handlers provide a detailed orientation and education session, introducing participants to the world of the dolphins. Then guests don life jackets and enter the sea for an adventure with these dorsal friends. Guests are amazed at how close they can get to our resident dolphins and how friendly, intelligent and charming they can be. Beach Encounter - A basic programme geared towards young children and non-swimmers. Deep Water Encounter - The next level of interaction with the dolphins. Swim Encounter - Our most popular programme where you meet the dolphins and experience their powerful swimming. Private Swims - Designed for those who want more quality one-on-one time with the dolphins. Trainer for a Day - The ultimate dolphin experience of spending the whole day with our trainers doing everything a dolphin trainer would do. As you would expect, Half Moon offers a comprehensive water sports programme with engaging activities to suit all age groups and interests. Many of the options are designed for family interest and engagement, allowing all generations to participate together or learn a new skill. Our two main beach areas for activities and swimming are Sunset Beach, directly in front of the West Cottages and adjacent to the lobby, and Sunrise Beach, which is east of the main lobby and closer to the Villas. Snorkeling, sailing, diving, windsurfing, water skiing and kayaking are amongst the water borne activities available at Half Moon. Our aquatic experts, Captain’s Water Sports and Dive Centre, provide everything from equipment to certified instructors, as well as offering nearby dive sites that teem with a variety of fish, coral and caverns. Certain non-motorized water sports are included for guests staying at Half Moon –such as snorkeling, kayaks, pedal boats, and beach floats (lilos). Guests looking for a little more, can opt for Hobi Wave, Sunfish, Sailing, Windsurfing and Banana Boat rides. Motorized water sports are available at Sunrise Beach and include parasailing, boat trips, water-skiing, tubing, banana boat rides, wakeboarding, kneeboarding, and glass bottom boat tours. Deep sea fishing trips are available and extremely popular with committed anglers seeking their first line experience with a Marlin or Swordfish. These fishing expeditions embark early in the morning from Sunrise Beach. Diving activities include dive trips to unique locations, equipment rentals, SCUBA diving lessons, PADI open water certification, PADI "Sassy" for children and other specialty courses. The reef which lies offshore of Half Moon affords remarkable opportunities to explore the underwater world with many rare species often observed such as the Eagle Fin Eel. The Hibiscus Pool is well-known for our swim-up pool bar where guests can enjoy refreshing cocktails while cooling off in the water. Located directly east of the Hibiscus Pool, our Olympic-sized Lap Pool is the ideal place to work on your freestyle and backstroke. This kidney-shaped pool is located in the Oleander Terrace. Managed by Trina DeLisser, Federation Equestre Internationale Show Jumping judge and former show jumper, the Half Moon Equestrian Centre offers an experience that is quite simply exhilarating. Here you will find 28 lovingly groomed mounts, a pony park, experienced trail masters and a jumping and dressage arena. Guests have the choice of taking lessons in the arena followed by a jaunt through the property or a ride down to and along the beach before being guided out to sea where you swim with your horse. All riders must wear long pants and walking shoes or sneakers. For the Beach Ride, please wear your swimsuit under riding clothing. Riding helmets, available at the Equestrian Centre, are also recommended. To dine at Half Moon is to embark upon a journey of culinary exploration. Our talented team of acclaimed chefs headed by Giorgio Rusconi, Director of Food and Beverage take their inspiration from the plentiful abundance of locally grown fruit and vegetables, combining the heady flavours of Jamaica with an international repertoire and in so doing offering menus that not only tantalise the taste buds but are simply unforgettable. A number of different meal plans are available including half board, full board or the Half Moon Plan which includes breakfast, lunch and dinner at any of our restaurants as well as all drinks both soft and alcoholic and house wines by the glass. If you choose to stay in and unwind, our in-room dining is the perfect choice for you. Our extensive room service menu is prepared with the same care and presentation by the chefs in our fine restaurants. Standing on the site and foundations of the Running Gut Estate which date back to 1676 and overseen for the past 40 years by Mr. Solomon Gardner, Keeper of the Mill, this is without doubt the finest restaurant in Jamaica and one of the most acclaimed in the Caribbean. Extraordinarily talented Jamaica-born Christopher Golding has created a menu that draws upon the diverse influences of the Caribbean and marries them into a repertoire that speaks to Europe, Africa and Asia. To dine here under a starlit tropical sky, the mighty waterwheel gently turning in the background and the air fragrant with hints of spice is an experience never forgotten. Open for dinner only, 6:00 p.m. – 10 p.m. closed Tuesday and Wednesday. Reservations are required. Dress code: the mood is casual elegance and applies to all guests over the age of 12. Denim, shorts, sneakers and flip flops are not allowed. Shaded by Seagrape and Almond trees, the Seagrape Terrace offers al fresco dining with spectacular views across Sunset Beach and out to sea with the gentle caress of the trade winds whispering through the leaves. Open for breakfast, lunch and dinner, the menus devised by Executive Chef Steve Sowa and Executive Sous Chef Hans Heusinkveld reflect the bounty for which Jamaica is renowned with a uniquely colourful and stylish Half Moon twist. Dress code: the mood is resort casual. During the evening this excludes cut-off jeans, t-shirts, swimming trunks or briefs, general beach attire, slippers, sandals and sneakers. Gentlemen over the age of 12 years are permitted to wear collared shirts and dress shorts. IL Giardino Presided over by Como born Guido Gilardoni, the dense, earthy and sultry flavours of Italy are brought to life with inimitable Italian panache at Il Giardino and in a setting reminiscent of an Italian villa. Open for dinner only 6:00 p.m. – 10 p.m. Reservations are required. Found at the Oleander Terrace, Pepperpot is under the charge of engagingly charismatic Chef Omar Sybblis. His unrivalled passion for the cuisine of Jamaica is matched by the astounding array of enormously popular dishes served, each one being a wholly authentic taste of this intoxicating country. Opening Hours: Pepperpot is open for continental breakfast, lunch and dinner during Christmas, President's Week and other peak periods. Hugely popular for an evening of fun, the weekly Beach Barbeque is held on Sunrise Beach. A generous buffet with grill stations, hot pots and savoury treats quickly whet the appetite and the evening local performers will soon have you dancing in the sand. BBQ takes place each Friday from 6:30 p.m. – 9:30 p.m. During the winter season the BBQ is held each Monday as well. Robbie's Kitchen serves International Cuisine with a Caribbean twist. Located in the Shopping Village and operated independently of Half Moon, it is open for lunch and dinner from 10 a.m. until late. Dress code is casual. Located in the Shopping Village and operated independently of Half Moon, Prakash offers Thai and Indian cuisine. Open daily for lunch and dinner. Reservations required for dinner. For those who prefer to dine in the comfort of their room or suite, room service is available at the following times: Breakfast 7.00am - 10.30am. All Day Dining 11.00am - midnight. This resort is a very special place. I have been visiting Jamaica for many years and will always remember with great fondness my visits to Half Moon. Friendly faces with welcoming smiles await when you arrive. 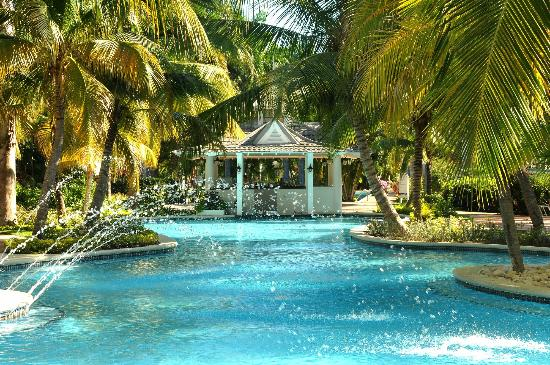 You feel like you have stepped back in time experiencing a Jamaica long past, comfortable, safe and relaxing. A full range of accommodation styles are available to suit your needs most looking out over the emerald and blue seas. 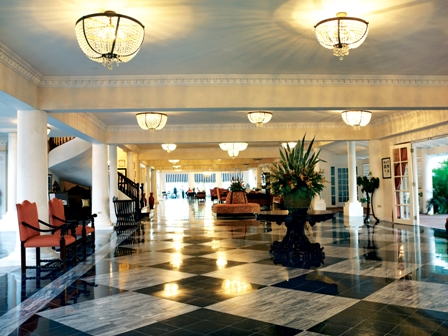 Caressed by ocean breezes, and miles of beach there is something for everyone here. 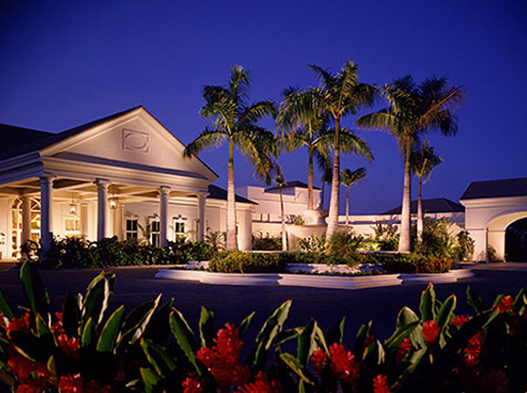 For golfers the resort has its own championship golf course a short shuttle ride from the front door of your room. Five minutes away are two other championship courses making this destination a true golfer’s paradise. I could go on for many more paragraphs about this wonderful place … instead I would urge anyone reading this to go and visit a TRUE PARADISE at Half Moon.